A highly valued method using the painless application of ultra-fine sterile, disposable needles to target particular points in the body with the aim of correcting the flow of energy, bringing about a change in functions of the body, mind, and spirit. The World Health Organization (WHO) has credited acupuncture as a viable therapy to treat a wide variety of acute and chronic conditions. By stimulating the natural healing response of the body and mind, the shift in energy flow in the body meridians generates an improved functioning of the organs and systems. Acupuncture is covered under most health insurance plans. There are various types, including Auricular Acupuncture, Body Acupuncture, Cupping, and Moxibustion. Benefits: Relieves aches and pains, psycho-spiritual matters and has cosmetic applications. Special thanks to John Stan for his research into the quality of needles. This is something that many schools do not focus on, but just as one should be aware of what one puts into their body in way of nutrition, so must you be aware of the metals in cheap needles! 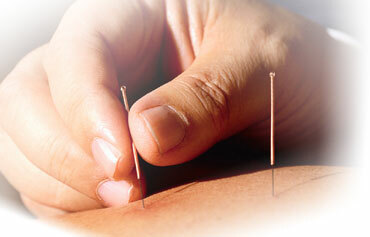 The ever-increasing popularity of acupuncture has brought with it opportunistic manufacturers. As a result, there are many companies offering brands of needles that are low in price and quality. Companies with substandard practices survive because many practitioners are lured by these lower costs. A substandard needle creates a substandard result. Common knowledge tells us that “you get what you pay for.” In China, while labor is cheap, it is the other aspects of manufacturing that are variable. Those aspects include the type of metal used to make the needle, sharpening methods, the type of Sterile Room the needles are assembled and packaged in, and the quality control standards in place at each level of manufacturing. Stainless steel comes in a variety of grades and it is one of the key cost factors. Different grades of surgical steel have different properties, which may affect the quality of treatment. Manufacturing facilities vary greatly. Very low-end needles are outsourced to individuals for sharpening, or to facilities with little or no quality control, and then brought back to the main factory to be packaged and sterilized. Mid-range facilities use better quality control, and a 100K sterile facility for finishing the needle and packaging. A 100K sterile room allows for 100,000 airborne particles per cubic meter. Better yet, some facilities are manufactured in a 10K sterile room. That means only 10,000 ambient air particles are permitted per cubic meter. The more stringent factories are about cleanliness, the less bacteria ends up on the shaft of the needle. All needles are sterilized, but if they are made in a factory with poor quality control, a quantity of dead bacteria will remain on the shaft of the needle after sterilization. Sensitive patients will react to the proteins on the shaft of the needles from the dead bacteria. This is called the pyrogen effect and in most cases cause redness, and possibly hives and itching. Low-end needles should be avoided no matter how attractive the savings are. We do ourselves and patients a disservice by inserting low quality metal of uncertain manufacture into patient’s precious body, so at the OHMM CENTRE, we use organic products and the best needles possible. At Eastern Currents Distributing, needles carried are made in factories with integrated manufacturing and quality control procedures. Manufacturing is set at a high standard, so you can be confident in the products and treatments.